A quick telephone call or web site visit will get you up-to-the-minute status reports on pending legislation, copies of bills or laws and general background data on any legislative matter. Edited with the busy local official in mind, the LEAGUE Lites quarterly publication is a source of new ideas and information on state and local programs which the municipal leader needs to keep well informed. In a sense, the pages of LEAGUE Lites serve as a training manual in a continuing education course for local officials, whether they are mayor's, governing body members, or administrative and professional members of the municipal management team. Articles span the broad spectrum of local administration, both functionally and geographically. Material of interest to the rural communities in Southern West Virginia could appear in the same issue with an article explaining a large municipality’s program in Northern West Virginia. Articles reach the pages of LEAGUE Lites only if they have something which will benefit other communities or officials. The issues are editorially balanced so that a year’s publication will bring articles of interest to all officials. Readers of the newsletter also know that much of its value goes far beyond the seven or eight feature articles appearing each quarter. Every issue carries notices of forthcoming meetings, announcements of training courses and administrative directives from state agencies. 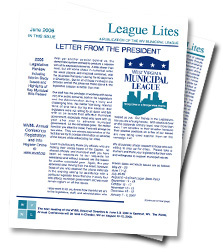 Issues of LEAGUE Lites average 8 pages in size and are circulated to over 2,000 local officials, state administrators and our Business/Association members each quarter. A collection of local ordinances are on file and immediately available to member municipal officials. The files are part of your Municipal Information, and are the backbone of one of the most often-sought League services. Local officials turn to the League’s Municipal Information File for help in drafting ordinances and on other matters relating to local administration. It is a rare hour during the average work day when staff members are not actively engaged in servicing requests by member officials - either by discussing problems over the telephone, researching ordinance files, or answering written requests for information. Our reference files of municipal ordinances is the largest of its kind in the state and is constantly growing. New categories are continually being added as communities enact local ordinances to cope with newly-emerging activities and situations. The League draws heavily on the assistance of the mayors, councilors, municipal clerks/recorders and the managers and administrators who provide copies of ordinances for our files and serve as the person with the answers when our staff calls for information. Their cooperation is deeply appreciated. A telephone call, email or letter is all that is necessary to obtain materials, and some 1500 officials, annually take advantage of our facilities. Approximately 90% of our requests are in reference to problems which have confronted other communities, and in most cases our files will yield helpful data. There is no need for any member municipality to “go it alone” in trying to solve its problems; chances are almost certain, that there have been similar experiences to profit from. The League provides numerous publications and reference books on a wide variety of municipal issues. Various surveys/reportContact the League office for details. The changing demands on local government mean last year's knowlege does not always apply to this year's problems. The complexity of new regulations, as well as new opportunities, sometimes requires more than a quick phone call or newsletter article. That's where the League's informative seminars play a role. These programs are attended and instructed by many city officials each year. Contact the League office to suggest a topic you would like included as a seminar. The League, through its staff and membership acts as a liaison between municipal, county, state and federal governments. A constant objective is the promotion of cooperation and coordination among various governmental units. In order to reach this goal, the League is represented on many state committees and task forces. 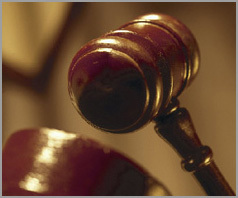 In court cases or proceedings of major concern to municipal governments where the interests of cities are at issue, the League periodically intervenes on behalf of its membership at the Supreme Court level. Your municipality is linked to a powerful network of nearly 18,000 other municipalities across the nation through the partnership of your West Virginia Municipal League and the National League of Cities. As the top organization representing municipal interests before Congress, the White House, and the Supreme Court, the NLC can be credited with helping to achieve the bulk of federal legislation helpful to municipalities and with working for compromises and amendments to other measures which have detrimental aspects. In addition to benefiting from NLC's advocacy work through state municipal league participation, any WVML member municipality, regardless of size, can become actively involved in influencing federal policy and programs as a direct NLC member. NLC dues are scaled to population and benefits of direct membership include: reduced registration fees for annual national conferences and regional seminars; free inquiry services for NLC's Municipal Reference Service and access to NLC's online service Access Local Government; free copies of Nation's Cities Weekly newspaper and reduced rates on other NLC publications; and, full voting rights and opportunities for participation and leadership in policy steering committees. For membership information contact the National League of Cities: www.nlc.org or call (202) 626-3000. 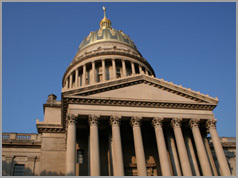 The WV Municipal League is a program designed to promote municipal government through information exchange and cooperation with organizations, associations and individuals throughout the state. Business and association membership is a vital part of meeting this purpose. 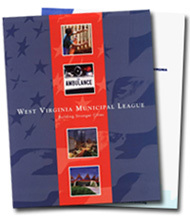 As a WVML Business Member you will receive subscriptions to the member publications, designed to keep League members up to date on current affairs and important issues affecting local government. LEAGUE LITES is the League’s newsletter featuring articles on development and issues affecting local government officials. Information on upcoming events such as the Annual and Mid-Winter Conferences, Board and Special Committee Meetings are announced periodically. ANNUAL DIRECTORY contains listings of municipal officials, addresses of City Halls, phone/fax numbers, as well as population, county location, and class. LEGISLATIVE UPDATES contain bills being considered in the Legislature that affect municipalities, summaries, and lobbying efforts. Business, trade associations, and individuals other than political subdivisions. Member mailing list, early convention mailing, and 5% discount on exhibitors fees. Political subdivisions, other than municipalities, who have been granted eligibility in one or more of the League’s Programs and who have 25 or more employees. Subscription to Newsletter, Annual Directory. Political subdivisions, other than municipalities who have been granted eligibility in one or more of the League’s Programs and have less than 25 employees. If you desire to become a business or association member please use the application below or check out or Membership Brochure.